It is said that a group of thoughtful, committed citizens usually makes change possible in this world. 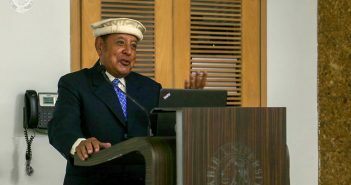 Such a change was initiated through the generosity of the Dhanani family – a successful entrepreneurial family based in Houston, Texas – whose substantial gift towards the School of Science and Engineering (SSE) will play a major role in the transformation of science and engineering education in Pakistan. In light of their gift and to honor the Dhanani family, an inaugural ceremony was held on 29th September, 2018, officially renaming the SSE, the Dhanani School of Science and Engineering (DSSE). 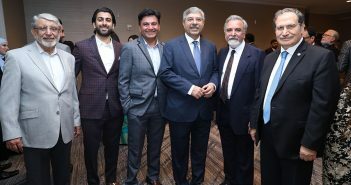 The Chancellor, Mr. Rafiq M. Habib, members of the Board of Governors, the Habib and Dhanani families, friends, faculty, and well-wishers of HU attended the event. 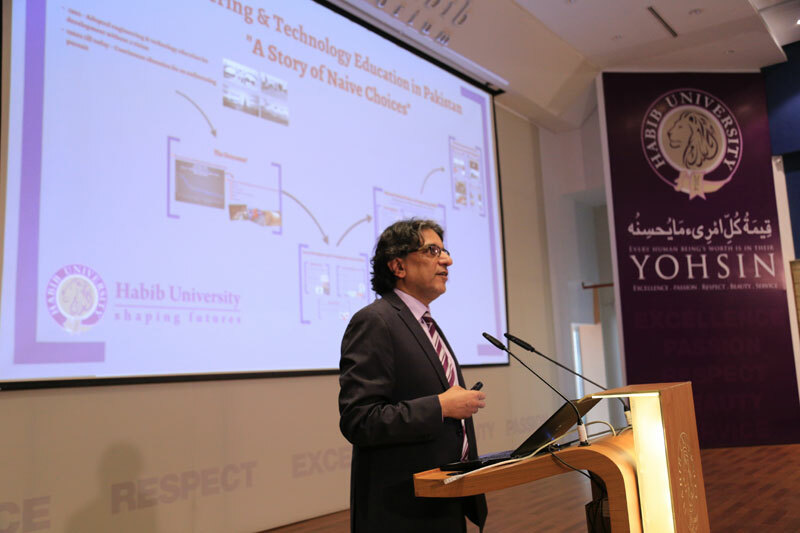 Speaking at the ceremony, President Wasif Rizvi highlighted the need for fostering technical education in Pakistan, which lags behind regional neighbors, and stressed the need for investing in higher education in Pakistan. He pointed out that generic quality issues such as static content, a contextual disconnect where students’ learning did not meet the requirements of the industry, and access to quality higher education were the three main issues plaguing higher education in Pakistan. The DSSE, he pointed out was addressing these issues through a holistic approach which ensured the availability of quality content by focusing on aspects such as undergraduate research, pedagogical innovation, and an awareness of history, society, and culture, amongst others. The President further highlighted that HU made access to quality education possible by providing students up to 70% discounts in fees which was made possible through the generous support of the community. 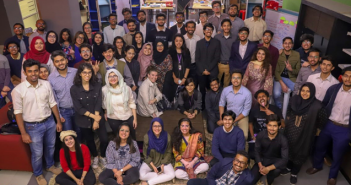 As the first Liberal Arts centered university offering science courses, HU was well placed to tackle the issue of the contextual disconnect by integrating Liberal Arts and Sciences with Pakistan’s challenges; the establishment of the Industry Advisory Board was another step in tackling the issue. President Rizvi pointed out the Dhanani family’s contribution will go a long way in ensuring that future generations of students will be able to benefit from a cutting edge facility for a long time to come. The presence of the younger generation of the Dhanani family was lauded as a sign of the commitment of the family to the cause of higher education in Pakistan in the future. The Chancellor lauded the humility and steadfastness of the Dhanani family, hailing them as an inspiration to everyone. The Dhanani family’s humility shone through as three members, Mohammad Ali Dhanani, Dilshad Dhanani, and Zohaib Dhanani, expressed their gratitude for being made part of the HU family and for being provided an opportunity to contribute to the future of Pakistan. A plaque containing elements of the same marble used in the Wall of Mohsineen was presented by the Chancellor to Mr. Dhanani after which the Dhanani family and guests were escorted to the DSSE for the official cutting of the ribbon – performed by the entire Dhanani family – and the unveiling of the commemorative plaque by the Chancellor, Mr. Rafiq M. Habib and Mr. Dhanani. The event was covered by local news bodies such as Dawn Newspaper, Daily Times and Business Recorder.